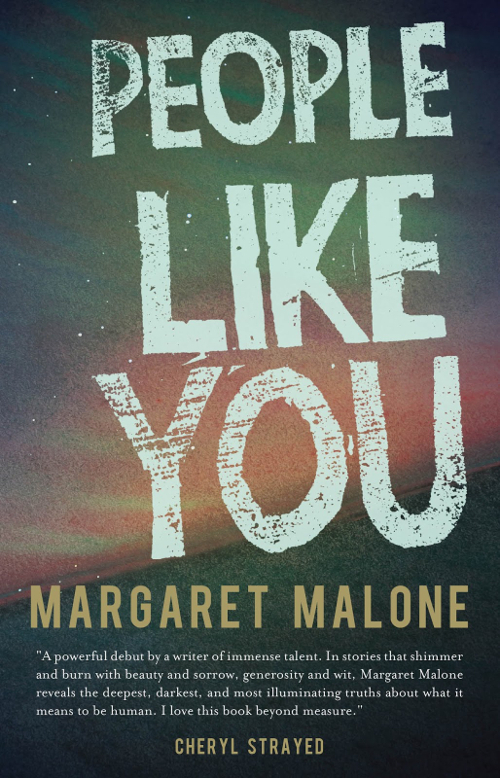 People Like You, by Margaret Malone. Portland, Oregon: Atelier26 Books, November 2015. 150 pages. $16.00, paper. I look around the party and realize two things. One, I hate parties. Parties are strangers and someone else’s idea of music and the overt pressure to talk to the strangers over the volume of the music while appearing to have a good time. Two, there are three other women present, and they are all pregnant. A tender spot: my eggs are no good. Passages like the end of “Yes” made me wish Malone would cut loose more often. Her characters are wound down so tightly it’s a relief when the prose gets to soar. Overly expressive or lyrical language, however, seems to be antithetical to Malone’s desired effect, a kind of pointilism of letdowns and small kindnesses. In the standout piece, “Good Company,” another story about a young narrator sharing close quarters with her boyfriend’s family, Malone carefully draws the shortcomings and bright spots of each character, showing us detail after detail: the guest bedroom door that won’t shut all the way, the narrator and her boyfriend’s sexual issues, the father’s passive-aggressive jabs that hide a “reluctant kindness,” and the ill mother’s rough silence. It’s a quiet story, but beneath its minimal prose is a beating heart. I finished People Like You on a crowded red-eye and couldn’t stop thinking about Malone’s characters. I saw the nastiest parts of myself reflected in them. “Am I really like these people?” I wondered. “Or could I be, if my life bent a certain way?” With all their specific little joys and sorrows, it felt like they were sitting all around me in the dark plane, their lives as rich and circumscribed and briefly illuminated as my own—people like me. Ian Denning’s work has appeared in New Ohio Review, Washington Square Review, Five Chapters, and elsewhere. He lives in Seattle, tends bar at Hugo House, and tweets at @iandenning85.